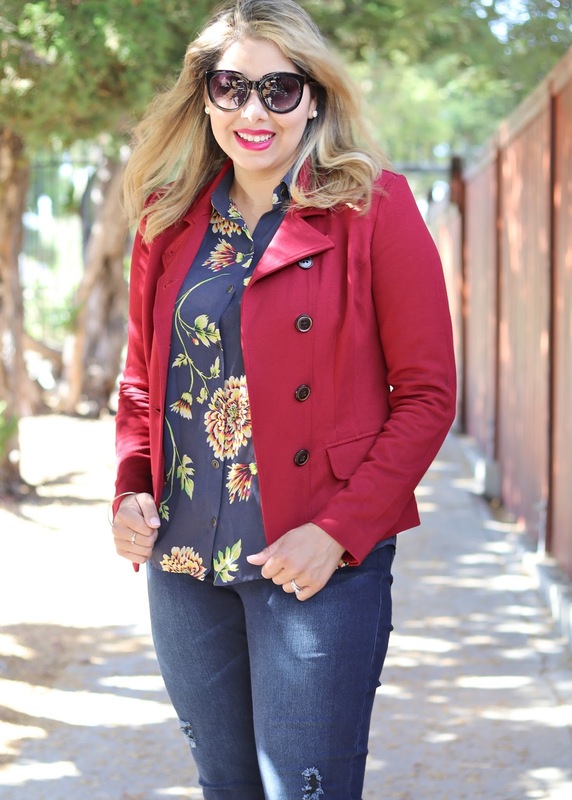 cabi's Red Outing Blazer is perfect for Fall, not only due to its rich color but also it's sleek shape (and there is a matching pant for it!) The material is "ponte twill double knit" which is stretchy and feels comfortable without losing its structure. I wore this to the office over an all black business look and I received so many compliments! 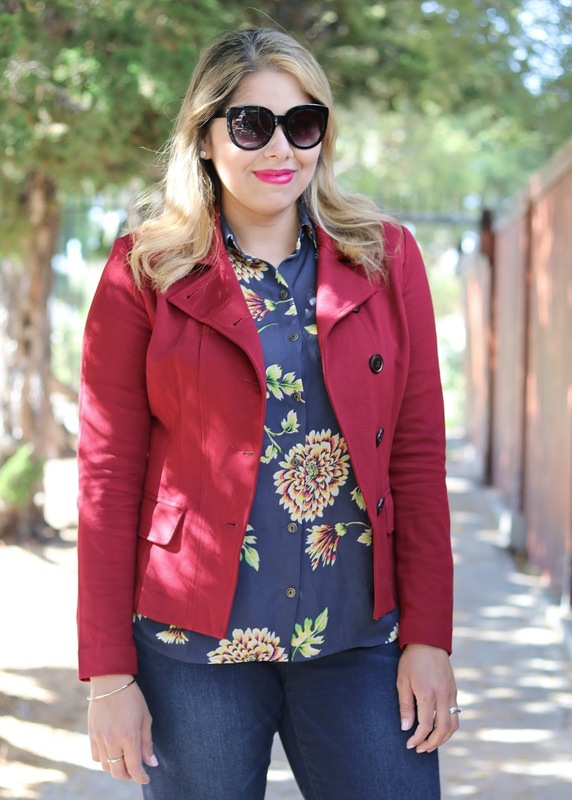 What I love most about the cabi Daisy Blouse is the sophisticated print composed of a bold floral print and Fall colors. Then there are cabi's dusk destructed skinny jeans which are the most comfortable jeans I have put on (reminder: they go up to size 16)! The denim is soft and stretchy to the point that I felt like I was wearing leggings but then I looked down and no, they are a luxurious looking denim pair with the right amount of distress. 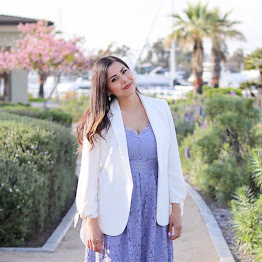 Love the whole look- but the blazer is definitely my favorite piece! So great for fall! You look amazing mama, and love, love this look. Definitely screams Fall!! !